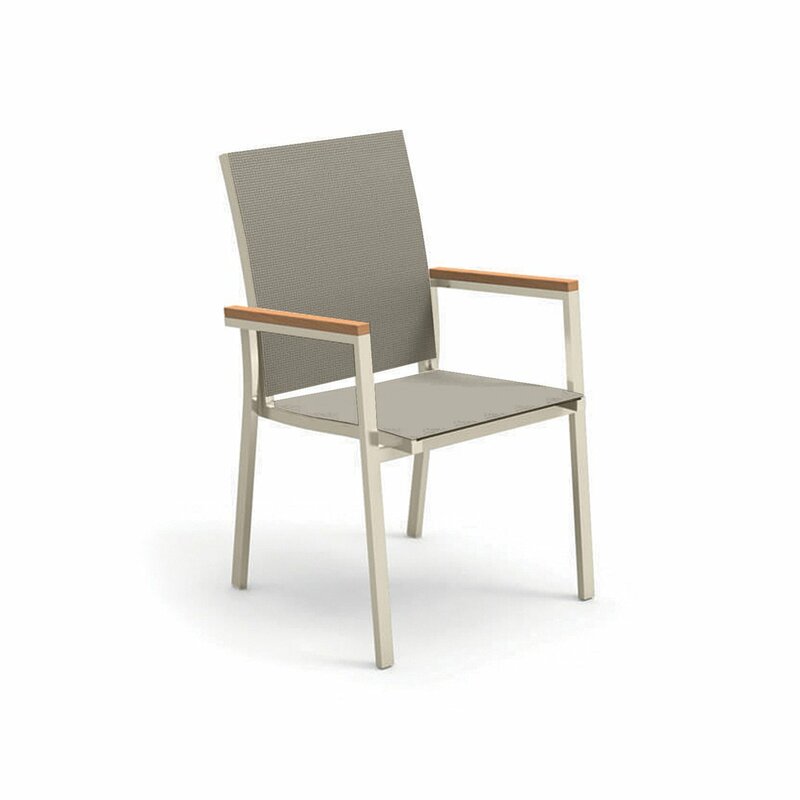 Timber is a small armchair made of white or dove gray aluminum, with seat and back in textilene fabric of the same color and armrests finished in teak, exotic wood particularly resistant to moisture. 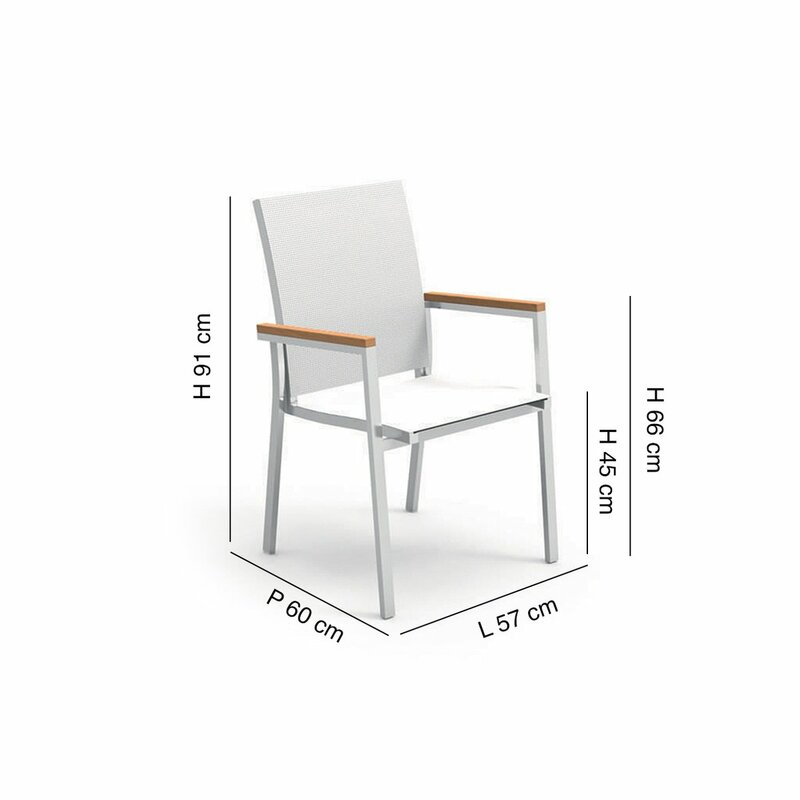 The garden chair is equipped with a practical handle behind the back that allows you to move it easily. 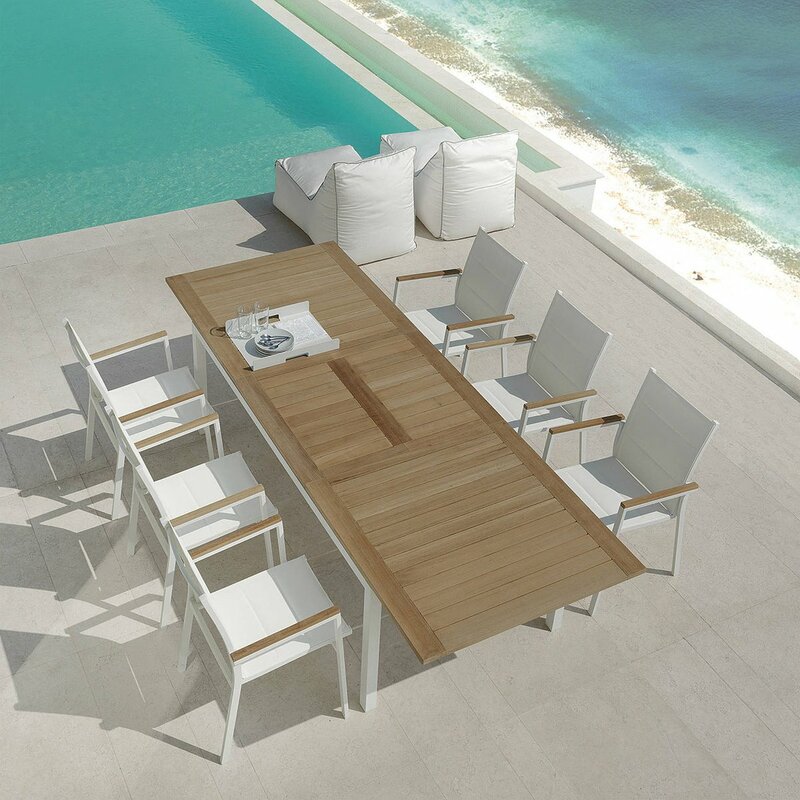 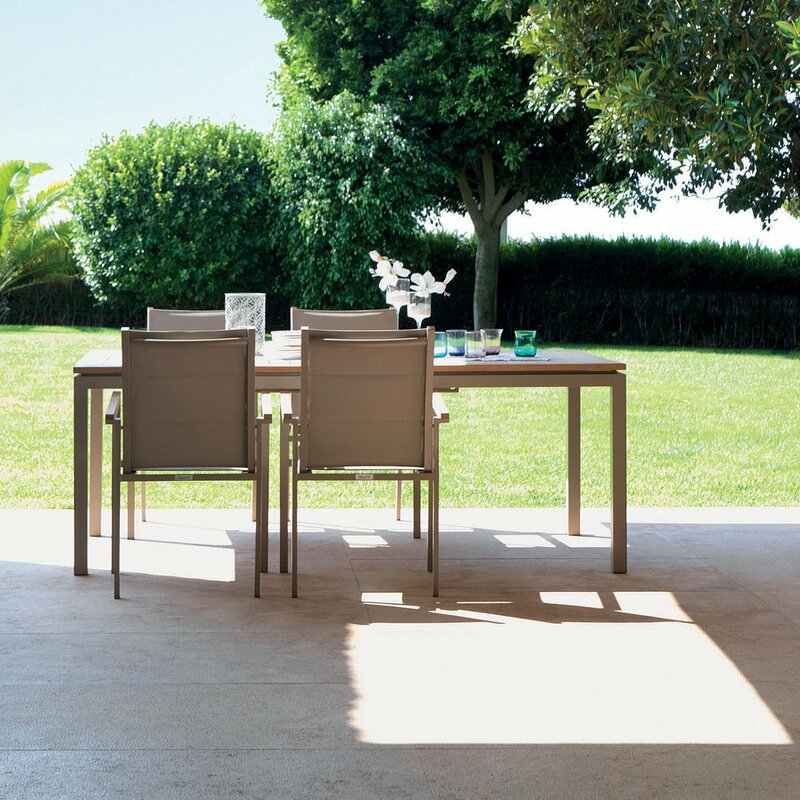 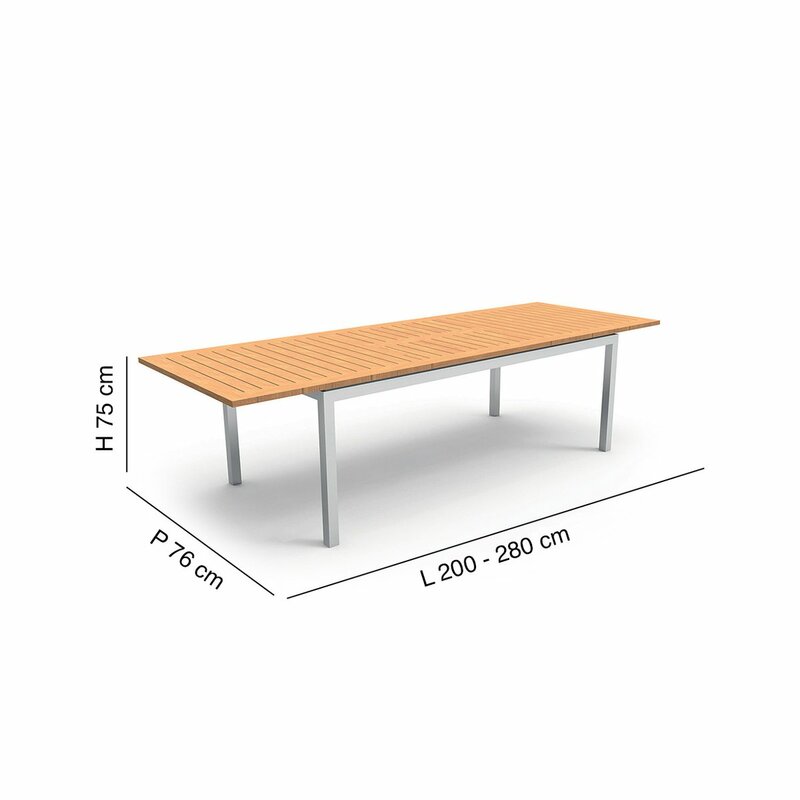 Combine this armchair with the extendable tables of the same collection. 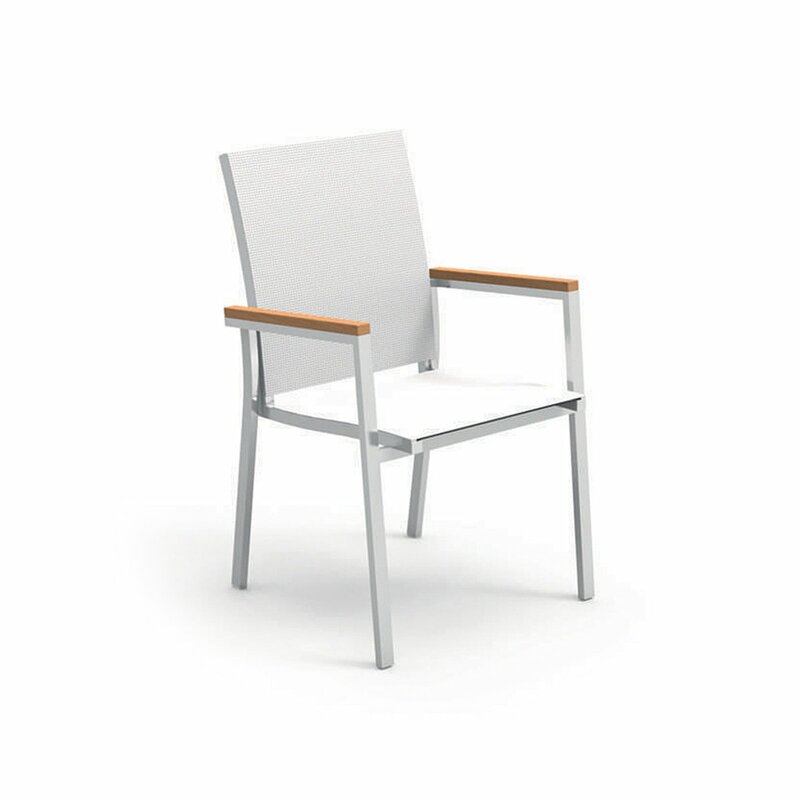 The Timber armchair is stackable.